If we wish to promote the recovery of Steller sea lions in Alaska, we must be able to measure how animals respond to perturbations in its environment. Until we can effectively assess the physiological or metabolic condition of individual sea lions in the wild we will not be able to accurately judge the success of management measures intended to aid the recovery of this species. What is needed is an index of body condition that reflects not only the cumulative effects of weeks to months of foraging effort, but one that is integrative and reflects the net energy balance at any particular point in time. The primary goal of this study will be to develop an index or tool for the assessment of metabolic condition in free-ranging Steller sea lions based upon circulating hormone levels. We believe that we can develop such a tool through the measurement of a combination of hormones that are involved in the regulation of metabolism and food intake in mammals—thyroid hormones, cortisol and leptin. The value of this approach is that hormones represent an integrated response to a number of environmental and physiological factors that influence metabolism. Previous studies have used thyroxine and cortisol, along with several morphometric measurements to assess the well being of yearling Hawaiian monk seals that appeared to be malnourished. Their results suggest that a suite of measurements, including these hormones, provides a good indication of the physiology of a seal and its ability to adapt to suboptimal environments. Recent studies on terrestrial mammals have shown a close correlation between serum leptin levels and total body fat that could provide an index of body condition more easily monitored in free-ranging animals than the presently used deuterium dilution technique. This study will build upon a preliminary study on the effect of food deprivation on serum leptin concentrations and utilize blood samples collected during previous studies to investigate the interrelationships between hormone levels, body fat content and nutritional state. Other environmental effects, such as circadian changes in hormone production and seasonal change in hormone levels, will also be addressed. Ongoing studies on free-ranging Steller sea lions will provide additional samples to test the application of our indices on wild populations. The Transient Juvenile Steller Sea Lion project allows for the longitudinal study of multiple animals for numerous complementary research programs. This would not be feasible with pure field work or captive approaches alone. So far, twelve animals have completed the program and contributed to more than a dozen projects with multiple principle investigators. The background for this project is found in eight preceding years of herring surveys and four preceding annual estimates of pollock in Prince William Sound (PWS) conducted by the Prince William Sound Science Center. The pollock surveys suggested a temporal source of variability that could affect the accuracy of acoustic surveys for pollock. In addition, during herring surveys in March 2000, an infrared scanner detected intense nighttime foraging activity of Steller sea lions on the overwintering herring schools. This observation, subsequently published in Nature (Volume 411: 1013), indicated that the Steller sea lions in PWS targeted herring schools during the overwinter period to the exclusion of pollock. Consequently, funding from the Pollock Conservation Cooperative (PCC) was requested to explore the implications of these observations. This project addresses the recovery of the Steller sea lion research priority in the PCCRC solicitation. The proposed work represents a significant and vital enhancement of an already funded project: "Determining Survival and Long-term Foraging Behavior of Juvenile Steller Sea Lions through Implanted, Satellite Mortality Transmitters" (funded by a North Pacific Marine Research Program grant to M. Horning). In connection with the already funded project, the proposed work will contribute to testing the leading causal hypothesis for the decline (or failure of the population to recover), as well as to the analysis of seasonality in Steller sea lion dive efforts, mortality, and the relationship of these parameters to fishing activity. Hence, we propose to implant dual redundant Satellite-linked Mortality Transmitters (SMXs) into ten rehabilitated California sea lions at the Marine Mammal Center in Sausalito, CA. In a second step, we propose to implant dual SMX devices into six transient juvenile Steller sea lions, captured and temporarily held in the Alaska Sea Life Center under a separate project. All sixteen implanted animals will be released into the wild after observation periods ranging from two to eight weeks. After their release, the SMX devices will be monitored through service ARGOS for up to five years. 3. the validation of the concept of delayed transmission, implanted mortality transmitters for post-release survival monitoring of free-ranging sea lions. 5. contribute to the validation of a new experimental paradigm in the study of marine endotherms by relating body condition, indicators of health and immunocompetence determined prior to release, to individual survival. (2) A database of historical and current pollock market information. This database will be posted on the Internet, and will be kept current (with funding to be sought from other sources). The database and report will provide both industry and fisheries managers important reference and educational tools, will provide analysis of market issues of current importance to industry, and will facilitate consideration of market effects in analysis of the impacts of management decisions affecting Alaska pollock. We analyzed records of salinity and temperature collected on Pollock fishing boats in the Southeast Bering Sea during the fishing seasons of 2000 and 2001. We hoped to use statistical analysis techniques to elucidate correlations of the water mass structure with catch and by catch data. The salinity and temperature data are collected from Conductivity-Temperature-Depth (CTD) recorders attached to fishing nets during normal fishing operations. We are in the process of evaluating the utility of using water mass characteristics to identify regions of high catch and by catch. In 2001, the catch quotas for Bering Sea Pollock are 1.4 million metric tons, which will account for three-quarters of the Bering Sea ground fish catch in U.S. waters. Pollock is harvested exclusively with trawl nets from vessels that process at sea and by catcher boats that deliver to mother ship vessels and to shore-based processors. Pollock products include surimi, fillets roe and fishmeal. Alaskan Pollock, Theragra chalcogramma, weigh 1/2 to 2 pounds and average 12 to 20 inches in length. These Pollock are members ofthe cod family and are commonly referred to as Walleye Pollock. Alaskan Walleye Pollock represent the world's most abundant food fish and is second only to Peruvian anchovy in global landings since 1993. Do Steller sea lions at the Pribilofs have enough to eat? Steller sea lions at the Pribilof Islands consume principally walleye pollock in winter-spring and flatfishes in fall-winter. Other common prey species include Pacific cod, octopus, sculpins, and skates. These all tend to be low-fat forage species and are considered to be less nutritious than species such as herring, capelin, sand lance, and salmon, which occur rarely in sea lion diets at the Pribilofs. We propose to evaluate the "junk-food hypothesis," namely that diets high in prey of low nutritional quality impose physiological costs to wild sea lions that may be detrimental to the health of individuals. The measure of physiological cost will be levels of cortisol, a sensitive indicator of stress. Cortisol will be determined in scats collected from haulouts and rookeries at the Pribilofs in summer, fall, winter, and spring. Hormone levels will be compared to data on sea lion diets and the energy density of prey, and evaluated in relation to hormone levels in other wild populations and in captive animals in controlled feeding trials. Diets, in terms of energy consumption, will be further evaluated using bioenergetic models of Steller sea lions. The results will provide information on the adequacy of the forage base at the Pribilofs in maintaining healthy individuals and populations of sea lions in the current meteorological/oceanographic regime. The study also will help to answer the contentious questions of whether there are too many or too few pollock, and whether large protected areas, such as the Pribilof Islands Habitat Conservation Area, are sufficient to ensure adequate prey resources for sea lions. The western stock of Steller sea lions (SSLs) has decreased by about 81% over the past 30 years and is now listed as "endangered" under the Endangered Species Act. Evidence suggests links between low juvenile survival and nutrient limitations (i.e. diets of low quantity, quality, and diversity). Diets of SSLs are diverse and include species important to commercial fisheries in Alaska. Thus, fishing activity in haulout areas is assumed to affect the ability of SSLs to secure food. Based primarily on assumptions about SSL foraging behavior and prey/habitat use, the National Marine Fisheries Service recently imposed restrictions on trawl fishing in 10 nmi radii around SSLs haulouts. The potential for competition between fisheries and marine mammals exists if increased seasonal or age-specific energetic demands of marine mammals coincide with temporal and spatial scarcity of prey resulting from commercial fisheries. We are proposing to determine the seasonal quality of fish species around key SSL habitat so accurate models can be derived to understand the level of interaction with commercial resources. These data will be of practical importance to fisheries managers by providing basic knowledge of the relative quality of fish available as prey for SSLs. This information will also be applicable towards future studies concerned with the transfer of energy within the fish community to better understand the growth and survival of commercially important fishes. Ultimately, this data will be important for commercial fishermen who are now affected by regulations based on inadequate information about SSL–prey interactions. SSL habitat around Kodiak Island will be a representative study site due to its central location to the SSLs decline and the great impact no-trawl zones around SSL haulouts have on the local fishing industry. Results garnered from the studies around Kodiak Island will also be applicable to other important SSL habitat in the western region. Chinook salmon bycatch in the Gulf of Alaska and Bering Sea create problems for the groundfish fisheries, particularly the Bering Sea trawl fisheries. Salmon returns to western Alaskan systems have declined sharply in recent years and salmon are critical to the livelihood and culture of rural Alaskans. In addition, chinook salmon are the focus of a number of other issues ranging from Endangered Species Act concerns to allocations between the U.S. and Canada. Central to bycatch questions is the origin or destination of intercepted fish. Substantial effort has been and continues to be devoted to genetic studies of North American chinook stocks, with the objective resolving stock mixtures to their component stocks. However without data from all potential contributors --at least the predominant ones -- stock mixture analyses are not reliable. Missing from the baseline are data from Russian chinook stocks. We are collaborating with Russian geneticists to obtain genetic information for Russian chinook populations and to examine the genetic divergence between those populations and North American chinook salmon lineages that represent much of the extant chinook salmon genetic diversity. We are quantifying genetic variation using both microsatellites and mtDNA to determine if there are markers that would assist in separating Russian salmon from North American fish in groundfish bycatches. We also plan to use the data to examine the recent evolutionary history of chinook salmon. The southeastern Bering Sea shelf is an economically and ecologically important system that is subject to substantial natural and human-induced change (National Research Council, 1996). Despite this, long term observations are limited and fragmentary in time and space, which severely restricts our ability to identify the effects of climatic variability on the ecosystem. The only long-term, comprehensive record of the changes in the ocean environment are observations collected from biophysical moorings (Stabeno et aI., 1998; 1999; 2001). Since 1995 Stabeno and collaborators have been monitoring site M2, over the Bering Sea middle shelf near 56° N, measuring temperature, salinity, chlorophyll, current speed, and meteorological conditions. A time-series sediment trap, which collects particles sinking out of the surface waters, has been deployed near that mooring since 1997, with support from NOAA during 1997-2000 and with support from the Pollock Conservation Cooperative Research Center for 2001. A parallel time series of zooplankton samples has also been collected. The carbon and nitrogen stable isotope composition and selected lipids, including wax esters and sterols, have been measured in the sediment trap and zooplankton samples. The composition of sinking organic material collected by the trap has reflected changes in oceanographic conditions during the 1997-2001 period. Low returns of sockeye salmon to Bristol Bay in 1997 and 1998, and the failure of the peak sockeye salmon run on the Kvichak River in 2000 has generated great concern for the health and continued viability of the Kvichak River stock of sockeye salmon. These events, in tum, have spurred a renewed interest in determining factors that affect survival of sockeye salmon throughout their life cycle, and particularly the early marine phase of that cycle. In this study we provide detailed information on important habitats utilized by juvenile salmon as they migrate from the Kvichak River into and through Kvichak Bay, define their migratory route through Kvichak Bay, and assess food resources available during that migration. In 2001, during the period of sockeye smolt outmigration (mid May to mid June), juvenile sockeye salmon were sampled along several transects from shore up to 50 km offshore. Abundances of sockeye tended to decrease from shallow, nearshore areas with higher temperatures, higher turbidity, and lower salinities to deeper, offshore areas with colder, more saline, and less turbid waters. Bottom depth, temperature, salinity, Secchi depth, and distance from shore are all strongly confounded, thus their potential effects on the distribution of salmon are difficult to separate. Sockeye abundances were not correlated with total zooplankton density or biomass, however, sockeye were correlated with selected zooplankters, such as the calanoid copepods Eurytemora and Epilabidocera. Eurytemora was the most important prey item, in terms of frequency of occurrence and number eaten. Mysid crustaceans dominated the prey in terms of biomass. There is some evidence that fish nearshore are feeding less than fish offshore in deeper, less turbid water. to reach any definitive conclusions about Russian pollock harvests in 2001 or what harvests would be in 2002. Nevertheless, it appeared likely that Russian pollock quotas would be substantially reduced in 2002 by 748,000 metric tons, from about 1,678,000 tons to 930,000 tons. Even if this quota were fully harvested, which seemed unlikely given recent harvest rates of about eighty percent of total quotas, Russian harvests were predicted to decline substantially in 2002, presumably by several hundred thousand tons. The main goal of this project was to determine if hydroacoustic data collected from sounders on commercial factory trawlers could be utilized to investigate temporal-spatial changes in the abundance and distribution of walleye pollock and the potential for local depletion in the Bering Sea. Since 2001 the PCC Research Center has funded this project for a total of $288,459. In 2001, we developed a prototype data logger that interfaces with the ship’s 38 kHz echo sounder and captures the acoustic backscatter returns. In 2002, we installed it on three catcher/processors (Island Enterprise, Kodiak Enterprise, and Alaska Ocean). The system worked quite satisfactorily. The backscatter data were post-processed and integrated with observer and logbook data. Preliminary analysis showed that the hydroacoustic information is correlated with pollock catch (Dorn et al. 2002). In 2003, an additional 4 vessels (American Dynasty, American Triumph, Ocean Rover, Starbound) were equipped with acoustic data logging systems, bringing the total number of PCC vessels equipped to 7, or nearly half the fleet. Work since 2005 concentrated on the analysis phase of the project. This work includes classifying the searching behavior of the vessel, integrating the acoustic biomass, identifying pollock aggregations detected while searching, and evaluating what inferences, if any, can be made concerning the rate at which those aggregations are reduced in abundance. The project developed sophisticated analytical tools for inferring the temporal dynamics of pollock spatial pattern using multiple data sources. This project was a cooperative program between the University of Alaska and the University of Washington and will result in two PhD dissertations: Haixue Shen at UAF and one by Steven Barbeaux at the University of Washington. Two research papers have been accepted for publication, several more are in preparation. As these reports become published, they will be sent to PCCRC. Numerous presentations of research results have been given, including a poster presentation at an international symposium on hydroacoustics in Bergen, Norway in 2008. This project demonstrated the feasibility of installing acoustic data loggers on catcher/processors in the EBS pollock fishery to study localized depletion of pollock. There were clear changes in pollock school characteristics during the course of the A fishing season. However, it is not known whether these changes are due to biological characteristics, oceanographic effects, or fishing. Therefore, there will be need for time series of hydroacoustic data to determine whether changes are due to particular effects. vertical distribution of age-1 and age-2 walleye pollock in the Gulf of Alaska (GOA) and eastern Bering Sea (EBS), 2) relate observed patterns to predominant physical (temperature, salinity, latitude, longitude, bathymetry) and biological (prey availability, diet) characteristics, and 3) examine the implications ofthese results on birds and mammals. To this end, we have: 1) collected age-1 and age-2 walleye pollock from the eastern GOA (August, September, 2001), 2) conducted a retrospective analysis ofhistorical (1990-1996) walleye pollock consumption in the EBS, 3) begun a series oflaboratory experiments designed to: a) define and quantify the effects of size and temperature on juvenile pollock food consumption and growth rate, and b) examine the effects ofvertical thermal gradients on vertical distribution ofage-1 and age-2 pollock, and 4) continued analyses of historical hydroacoustic data to relate patterns of sub-adult walleye pollock distribution to predominant physical (temperature, salinity, latitude, longitude, bathymetry) in the EBS. We conducted a spatial and temporal analysis of fisheries data to assess the extent of overlap between groundfish fisheries and Steller sea lions in the Gulf of Alaska and Bering Sea. Such an analysis has never been undertaken before and has been noticeably absent from recent Biological Opinions addressing the effects of groundfish fisheries on Steller sea lions. Fisheries data (catch, effort and location) were combined with sea lion data (counts and foraging distances) to identify the potential degree of overlap in distributions (the joint probability of fisheries and sea lion probability). This analysis is needed to determine the effectiveness of fishery management measures intended to minimize impacts on Steller sea lions. ­Researchers used biopsy darts to collect shallow-depth tissue and blubber samples from killer whales in Prince William Sound during the summer in 1994 and 1995. Tissue biopsies of killer whales were taken in summer 2001 in waters around Steller sea lion rookeries and major haulouts along the central Alaska coastline from Resurrection Bay to Seguam Pass. In all, 17 tissue biopsies were obtained from 11 different groups of whales including 11 suspected resident whales from six groups, four suspected transient whales from four groups and two suspected o shore animals from one group. A small amount of skin and underlying blubber were collected and frozen for stable isotope and fatty acid analysis. A workshop was convened June 23-24, 2003, that brought together participants from universities, governments, and industry to discuss fisheries self-governance around the world. Among the fisheries discussed were Bering Sea pollock, Alaska weathervane scallop, Chignik salmon, Oregon whiting, New Zealand orange roughy, New Zealand scallop, New Zealand lobster, Atlantic Canada offshore scallops, British Columbia geoducks, Matjes herring, Oregon Yaquina Bay herring, and Hawaii lobsters. Thee workshop also was attended by fishery managers from NOAA Fisheries, the North Pacific Fishery Management Council, and the Commercial Fisheries Entry Commission, as well as some members of the industry. Samples of maturity condition and fish length were collected during the commercial fishery in 2002 and 2003, and supplemented by similar data collected by the National Marine Fisheries Service (NMFS) during assessment surveys in 1989-2002. Length at fifty percent maturity was estimated spatially (within subareas) and temporally (annually) by logistic regression using maximum likelihood methods. Fish matured at smallest sizes north of the Pribilof Islands and in years 1989, 1991, and 1995. Fish matured at largest sizes south of the Pribilofs and in years 2001 and 2002. Size at maturity is directly related to fish growth and appears to be density dependent—that is, fish mature at smaller sizes when pollock stock biomass is greater. Failure to use accurate estimates of size at maturity may have led to a 1.8 percent underestimate of spawning biomass in 2002 and a 9.7 percent underestimate in 2003. Scientists conducted a field study of diet, distribution, abundance, and other parameters of jelly fish in the southeastern Bering Sea in summer 2000 with the goal of learning more about the role of jelly fish in food web production and ecosystem dynamics. Jelly fish in the Bering Sea prey upon fish eggs and compete with juvenile and adult fish for prey. Thus, they may have direct and indirect negative impacts on stocks of commercial fish, including pollock and salmon. Nearshore fishes around haulouts are potential prey for Steller sea lions, especially pups, as they learn to forage and supplement their milk diets during weaning. Visual surveys in July and November 2001, and March, May and July 2002 were used to quantify spatial and temporal variation in fish diversity and abundance around two Steller haulouts and two control sites. SCUBA divers sampled depths of 9, 15, 21, 27, and 33 m. Concurrent habitat surveys were used to quantify substrate, macroalga and benthic invertebrate cover. Steller haulout sites had fewer fish than control sites, but similar species richness and species composition at the 9, 15 and 21 m depths during the summer sampling periods. In winter, fish were fewer but more evenly distributed. Habitats were not significantly different between Steller haulouts and control sites. All sites had seasonal cover of canopy forming kelp, and overstory algal cover was heavy down to 21 m. At approximately 27 m the habitat changed abruptly from kelp­ covered bedrock to bare gravel and shell hash. While nearshore fish are an important component of Steller diets, results from this study do not indicate that fish assemblages at haulouts are substantially different from other headland sites. The integration of traditional knowledge and current methods in scientific research is a crucial step for the understanding of an ecosystem undergoing change, such as the Bering Sea. Subsistence harvests can provide critical tissue samples, such as are needed for the investigation of the current role of contaminants in species declines. The Pribilof Islands are remote, and therefore it is extremely difficult for researchers to collect important samples from native species. It is equally difficult for members of the local community to access scientific information regarding their environment. This project represented the synergistic efforts of researchers and subsistence hunters. Contaminants levels were measured in multiple tissue types from northern fur seals an important subsistence species on St. Paul Island, Alaska. This work has resulted in one manuscript with a second possible manuscript pending additional sample analysis. Overall contaminant concentrations were not high, however the concentrations of different northern fur seal tissues varied considerably. 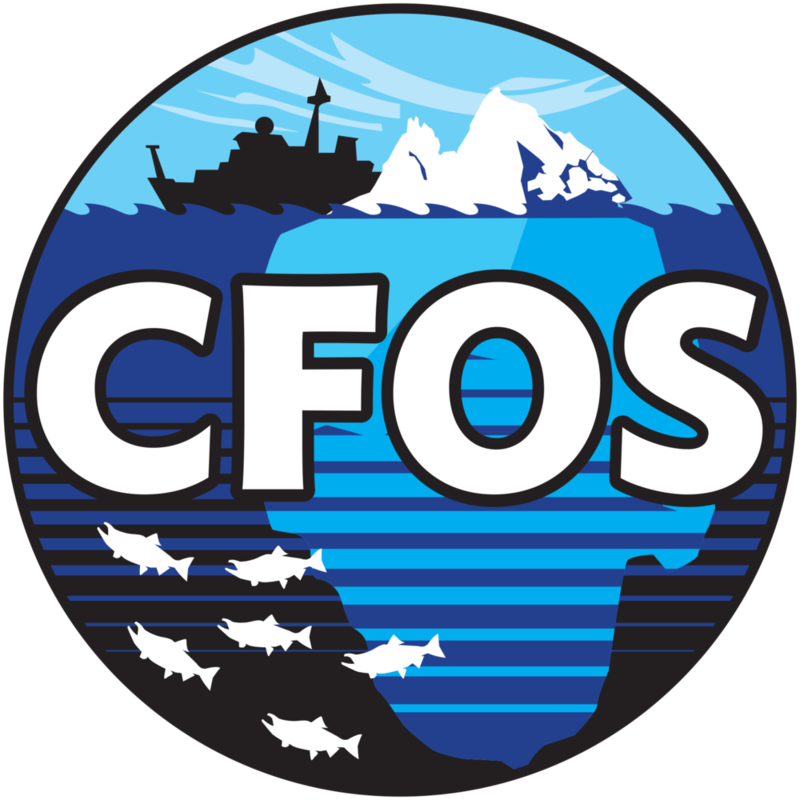 A number of empirical relationships between oceanographic variability and pollock recruitment have been established or proposed by various authors. Based on these, the researchers assembled and processed data to construct a comprehensive set of biological and environmental indicators that relate directly or indirectly to these relationships. Winter ice conditions and the cold pool. Timing of ice retreat and the spring bloom. Mixed layer dynamics and summer production. Researchers then examined the impacts of these environmental conditions on pollock survival and recruitment using statistical models, with the goal of quantifying the proportion of variability in recruitment that may be accounted for by environmental variability. The source(s) of past and continuing population declines/fluctuations in both the eastern and western stock of many marine species remain unclear. One hypothesis is that survival of species has been limited by the availability, quality, and/or diversity of their prey. We propose to carry out a stable isotope study on salmon, forage and groundfish species in the eastern and western Bering Sea, within the Russian Economic Zone, to produce information relevant to understanding population changes and produce a map of trophic interactions. Predator-prey relationships are determined by analyzing the stable isotope ratios (d13C and d15N) found in muscle tissue from organisms and the suspected prey; this will help assess trophic interactions, foraging variability and spatial and temporal feeding information while at sea. Trophic differences between the eastern and western sides of the Bering Sea, particularly in forage fishes, may explain some of the population abundance differences in this region. The consistency and amplitude of the oscillations implied seasonal movement and feeding between isotopically distinct regions. We propose to utilize samples obtained from ongoing research, in an effort to produce food webs and seasonal records of forage fish, salmon and groundfish intra- and interannual diet and feeding locations. We performed one seasonal test evaluating the metabolic scope of walleye pollock collected from the wild in the late summer/fall. We performed these tests before water temperature control had been fully optimized in our wet laboratory and water temperatures were higher than desirable (10-11 °C). Critical swimming speeds (N=5) and oxygen consumption rates (N=4) of walleye pollock over a range of swimming speeds were determined. We performed preliminary tests and are at present evaluating data gathered on a surrogate species, Pacific cod, acclimated to two different temperatures. Pacific cod were swum to exhaustion over a range of temperatures and preliminary analyses of these data suggest a trend for an increased critical swimming speed with increased water temperature. We developed or improved a number of methods for discovering and applying SNPs to make them more accessible to small laboratories and to reduce their cost. Specifically, we invented DEco-TILLING, a method for discovering useful SNPs rapidly and inexpensively; we improved a genotyping assay to screen SNPs in thousands of individuals for an order of magnitude less cost than the standard commercial assay; and we improved on a method to resolve the phase of SNPs linked close to each other in the same gene, which increases resolution and improves discovery efforts. We also demonstrated that the SNPs, which we discovered, are informative and increase precision of analyses of mixed stock fisheries of chum salmon over microsatellites alone. In a parallel study that was funded by the Bering Sea Fisherman’s Association and was leveraged by this PCCRC project, we developed a baseline for microsatellite loci for the same populations that we developed SNP baseline. This project will increase our knowledge of habitat use by larval and juvenile fish in the nearshore waters of Alaska. Specifically, it will explore the possibility that nearshore kelp beds act as refugia for the larval and juvenile stages of commercially important fishes such as gadids and rockfish. PCCRC Research Priorities for 2005 include the identification of rockfish refugia and habitat areas of particular concern. In order to identify these specific types of habitat and to safeguard target and non-target rockfish species, we must first determine which habitat types are essential for the various life stages of these fish. From studies in areas such as California, it is well known that many species of rockfish inhabit areas that are structurally complex, such as rocky reefs and kelp beds. In Alaska, recent studies in nearshore waters have described gadid use in small (understory only) kelp beds (Abookire 2003), seasonal variation of adult fish in large kelp beds (Hamilton and Konar 2003, Calvert and Steckoll 2003) and variation of adult fish with water depth and algal cover around Steller Sea Lion haulouts (Hegwer 2003), information is still lacking on larval and juvenile fish use of algal habitats and other factors influencing fish composition and distribution. This project will further our knowledge of this understudied habitat in relation to the essential larval and juvenile life stages of these fishes in Alaska. Skulls from Steller sea lions (1950s to present) that are housed by NMFS, the University of Alaska, and the California Academy of Sciences will be measured to determine whether body size changed as sea lions declined and whether the changes are consistent between the eastern and western Pacific. These data will be used to test whether changes in body size are consistent with nutritional stress hypothesis or with the killer whale predation hypothesis. During 2006, the St. George Island Traditional Council, in collaboration with the St. Paul Island Tribal Government, Community and Ecology Resources and the University of Alaska, Fairbanks collected baseline information on the distribution and behavior of predators on northern fur seals in the Pribilof Islands region. We used two methods to collect data; a logbook program in the local halibut fishery, and a local and traditional knowledge (LTK) survey. Emphasis was placed on assessing current and historical trends in the location, numbers and seasonality of killer whale and Steller sea lion observations, as well as the frequency and extent of observed predation events. During the 2006 commercial halibut fishery, 15 boats from St. Paul and 3 boats from St. George participated in the logbook program, representing nearly complete coverage of the local fleet. From mid-June through late-September, fishermen from ten boats reported 21 sightings of killer whales in both the near-shore waters around the Islands and at the continental shelf break, however no direct predation events were observed by local fishermen. A total of 48 LTK interviews were conducted and interviewees reported 29 sightings of killer whales during 2006. Predation on northern fur seals by both killer whales and Steller sea lions was reported during LTK interviews in observations spanning the period from 1976 to the present. Gear interactions with killer whales were reported by fishermen on local vessels, however killer whale depredation on halibut longline gear was only observed in the distant waters near the continental shelf break and not in the near-shore waters around the islands. Our results are consistent with the characterization of killer whale ecotypes in the eastern North Pacific and more recently in the eastern Aleutian Islands. Killer whale observations in the near-shore waters of the Pribilof Islands were consistent with the transient ecotype; they were observed in small groups, were observed preying on marine mammals and did not interact with fishing vessels or appear to consume fish. Killer whales encountered by Pribilof fishing vessels near the continental shelf-break were consistent with resident killer whales; they occurred in larger groups, interacted with fishing vessels and ate fish from halibut longlines. Abundances of marine mammal populations changed dramatically in the Bering Sea and Gulf of Alaska over the past century. Some of these changes are attributed to known ecological or human-caused events, but considerable uncertainty surrounds others, such as the decline of the western stock of Steller sea lions in the 1970s and 1980s. In the case of sea lions, one factor that has been identified but poorly studied is mortality from shooting by fishermen and others. Documenting information about the nature and extent of such shooting, together with its spatial and temporal characteristics, may provide valuable insights into the causes of the decline and the potential for recovery. In addition, commercial fishermen and regional residents are likely to have a great deal of knowledge about historical ecological events and conditions, including climate regime shifts, which have not been documented to date. Ecological knowledge is particularly sparse prior to routine fish stock assessment surveys in the 1970s (Bering Sea) and 1980s (Gulf of Alaska). Interviews that we conducted with selected fishermen and regional residents in the Kodiak, Cold Bay/Sand Point, and Seattle areas have added much information to our knowledge base. Apparent mortality by fishery based on these interviews suggests that, apart from the Shelikof Strait trawl fishery in the 1980s, shooting practices do not appear to have changed appreciably from the 1950s to the 1970s. Moreover, the timing of the decline in the western stock of Steller sea lions does not appear to be explained by patterns in fishing effort for fisheries in which significant levels of shooting were reported. Thus, while historical shooting mortality undoubtedly contributed to the decline of the western stock of Steller sea lions, it does not appear to have been the leading cause of unexplained mortality during 1974- 1990. Climate change is expected to alter the distribution and growth of fishes, though exactly what the effects will be is unknown. We will analyze otoliths and develop condition indices from Pollock that were collected in the Bering Sea (NOAA/BASIS) in summers 2002-2005. We will establish a baseline of geographic distribution (statistical and GIS maps) in relation to their associated water masses using otolith chemistry. Age, growth estimates, trace elements in otoliths, condition indices, and morphometric relationships will all be used to assess the health of these fishes. These values will be compared to the distribution of pollock, especially in relation to water masses. Water masses are expected to retain their distinctive characteristics, but be distributed northward with climate change. Therefore assessing parameters that indicate movement and quality of fish should have broad implications for effects of climate change. Analyzing trace element signatures in fish otoliths is a chemical method to determine the distribution of a fish across time and space. The core of the otolith is the signature of the water mass where the fish were spawned and the edge is the signature of the water mass where the fish were collected. By analyzing pollock across large areas, we will enable future studies to track distribution changes, especially those associated with climate change. The results of this component will be available to managers to develop appropriate management strategies and risk vulnerability models to assess reaction fisheries to projected ecosystem changes in Arctic waters. Developing condition indices for different fishes in the Bering Sea will allow us to better understand how ‘fit’ these fishes are within and among water masses. Monitoring the condition of fishes will provide evidence of fish movement into different water masses as their fitness changes in relation to changes in climate and water temperature. A decrease in overall fitness, determined by condition indices and morphometric measurements, may indicate that Arctic fishes are being displaced by sub-Arctic fishes moving to more northern habitats. The proposed project investigates the demography and trophic ecology of salmon sharks and Pacific sleeper sharks caught as bycatch in Bering Sea pollock fisheries. Salmon sharks and Pacific sleeper sharks are caught as bycatch at levels between 200 and 1,400 metric tons annually. It is not known if the shark population in Bering Sea can sustain these levels of removal. Very little is known about the life history of these sharks in the Bering Sea or about their role in the ecosystem as top level predators. The PIs propose to use a suite of mathematical population and ecological models to characterize the bycatch of sharks in the Bering Sea pollock fishery and quantify the potential impacts of bycatch on the population. Current information from the Gulf of Alaska on sharks suggests that only segments of the salmon shark population migrate in and out of Alaskan waters and that Pacific sleeper shark have a relatively small home range. This data suggests that the impacts of bycatch may not be consistent among life history stage, sexes, or species. The PIs propose to collect archived data regarding shark population structure and commercial bycatch. In addition the PIs propose to collect data aboard commercial pollock at-sea processors to estimate demographic, reproductive, and diet variables. Considerable support has been offered by the pollock industry, in particular by the At-Sea Processors, to adequately assess the potential impacts of shark bycatch so that informed mitigation efforts can be implemented. The outcome of this study will be an integrated understanding of ecosystem function and likely consequences of the removal of such levels of shark biomass in the Bering Sea. Pacific ocean perch (POP) are the most abundant Sebastes rockfish species in Alaskan waters in both biomass and catch. They are distributed broadly along the Gulf of Alaska (GOA) and Bering Sea (BS) continental slopes. As for most rockfish species, POP do not mature at an early age; and they can live to very old ages. Rockfishes are viviparous; after POP larvae are released they may spend several months in the water column before they settle into more demersal habitats. An assumption made for many marine species, which have pelagic larvae and apparently mobile adults, is that their population structures extend over very broad reaches, possibly including much of the natural range. Recently, genetic studies of POP population structure have demonstrated that relatively strong divergence occurs between collections that were sampled at locations spaced about 200 km apart along the GGOAOA and BSBS continental slopes. The degree of divergence suggests that, although population structure is not defined by geographic or oceanographic boundaries, the limited net dispersion that occurs in both pelagic larvae and adults results in restricting the spatial scale of POP production to areas that are related to the average distance moved between birth and reproduction called neighborhoods. The spatial scale of neighborhoods (productivity units) is the geographic scale on which management should focus. We have nearly completed a large scale genetics study of adult POP samples (Palof, thesis research); and a genetics study of young-of-the- year POP juveniles is in progress (L. Kamin, thesis research). From those results we will be able to address questions about the extent of dispersion, and should be able to make preliminary estimates of neighborhood size. The questions we address here are the effects that harvest patterns exert on production and genetic structure of POP and, by extension, other species for which limited dispersion results in a neighborhood model of population structure, and the neighborhoods are much smaller than the management areas. To evaluate these effects, we will develop quantitative models that include information about dispersal, population dynamics, and exploitation and test the effects of different harvesting strategies, which will range from harvesting over the entire management area to harvests in a few limited areas with in the area. Fur seals on the Pribilof Islands have been declining for 40 years, and losses since the early 1970s remain unexplained. A number of possible causes have been investigated. Some factors have been considered and rejected, and others are still being debated. Current leading hypotheses include effects of commercial fisheries and climate change on prey availability in the Bering Sea, and predation by killer whales. Steller sea lions, harbor seals and sea otters have also experience large population declines in areas that are important to northern fur seals (i.e., the western GOA, Aleutian Islands and the Bering Sea). Therefore, we propose to review the life history strategies and influential factors affecting northern fur seals in the Bering Sea, where they reproduce and raise pups, and in the N. Pacific, where female and juvenile fur seals migrate and over winter for about eight months each year. We will compare fur seal ecology to that of Steller sea lions, harbor seals and sea otters in the North Pacific to help evaluate which factors may be important in the fur seal decline on the Pribilof Islands. Such a review will enable us to make recommendations about hypotheses and questions that need further research. This literature review and critical evaluation will ultimately be of benefit to the conservation of fur seals, the rational management of commercial fisheries, and an understanding of the effects of climate change and predation on individual species and on marine ecosystems. In 2005, fishery landings in Alaska were 5.7 billion pounds, or almost 60% of the total pounds landed in the U.S. (NMFS 2007). Approximately 40% of all U.S. fish and shellfish landings occurred in the eastern Bering Sea. The nation’s top seafood port in 2005 was Dutch Harbor-Unalaska, accounting for 888 million pounds of landings worth $283 million before value-added processing. These numbers make fishing efficiency and long-term sustainability key elements to Alaska’s economic growth. The purpose of this proposal is to conduct a feasibility test to determine the usefulness of near real-time temperature data from the Bering Sea to commercial fishers and fisheries managers. It is anticipated that knowledge of Bering Sea bottom temperatures and vertical profiles of temperature will help determine fishing locations more efficiently, and will be important to fisheries managers. Bottom and water column temperatures will be acquired using free-drifting profiling floats. For this feasibility test, and to keep costs down, we will deploy and acquire data from two floats with temperature data transmitted weekly to the PIs. Following transmission and receipt of data, we will post it as soon as possible on the Alaska Ocean Observing System web site. We will determine whether data maps faxed to commercial fishers is also useful, building on past positive AOOS experience. Following this study, the full data set of temperature can be used in fisheries models, and used to establish a baseline of modern temperature records from the fishing grounds of the Bering Sea. Marine mammal research often requires marking animals in order to collect important long-term ecological data. Various field research authorizations state that markings should not cause the animal pain or distress, nor should the marking impede the animal’s ability to perform natural behaviors. The research proposed here will be the first to evaluate the combined behavioral and physiological responses to hot- iron branding and surgical implantation of Life History Transmitters (LHX tags) in juvenile Steller sea lions (Eumetopias jubatus). Data collected will identify changes in behaviors key to the animals naturalistic functioning, and from that, a set of handling recommendations for captive and field research can be made. These data will also be used to develop objective pain assessment methods for sea lions and to apply these methods in identifying and reducing pain during invasive marking procedures in field research. The beneficial health effects of a diet rich in long chain polyunsaturated omega-3 fatty acids (LC-ω3- PUFA’s) have been fully described in recent years. Marine oils are an important dietary source of LC-ω3- PUFA’s, being especially rich in two of the most important fatty acids of this class namely, EPA (eicosapentaenoic acid; 20:5ω3) and DHA (docosahexaenoic acid; 22:6ω3). Due to its nutritional value there is growing interest in refining fish oil for human consumption. In Alaska there are large quantities of fishery byproducts being used for the production of fish meal and fish oil. Most fish oil produced in Alaska is crude or unrefined, thus it may only serve as ingredient for animal feed unless further steps are taken to handle specific fishery byproduct components as raw materials for the production of food. In this case, unrefined human grade fish oil can be produced and may be further purified to meet market specifications for human grade oils. The main goal of this research is to investigate the applicability of short-path distillation for the purification of commercial pollock oil, and human grade pollock liver oil. Pollock oils will be subjected to short-path distillation for deodorization, and removal of free fatty acids and other impurities. The major advantages of using this technology, compared to traditional fish oil purification steps, are that it reduces the use of chemicals during processing, reduces the number of steps needed to refine fish oils, and reduces oil loss during purification improving processing yields. Knowing what animals eat is perhaps the single most important requirement for understanding relationships of predators to prey, how food webs, communities, and ecosystems are organized, and why populations fluctuate in abundance over time and space. The most powerful new approach for estimating predator diets in marine ecosystems employs fatty acids (FA), which are passed up the food chain in predictable ways and can be used to quantitatively estimate predator diets at each trophic level. For a given predator, this requires a catalog of the FA composition of all likely prey. The overall efficacy and accuracy of the FA method of diet analysis is well established, yet important questions remain of how potential spatial and temporal variability in FA composition of individual prey species affect diet estimates. Our goal is to evaluate the magnitude of variability among seasons, years, and locations in FA composition of principal forage species supporting seabirds and marine mammals in the Bering Sea. We will build upon our recent studies of diets of seabirds and fur seals using FA, which have not had the resources to investigate these issues, and will fully exploit a large collection of forage species obtained in collaboration with the National Marine Fisheries Service. Products from this study— an extensive catalogue of FA signatures of the principal forage species in the Bering Sea, coupled to assessments of the magnitude of variability in FA and its significance to quantitative diet estimates—will be available to others wishing to employ FA analysis. There is a well-established link between the mammalian immune and endocrine systems. These finely tuned interactions are required for the survival and health of an individual and are regulated by circulating hormones, which are in turn influenced by nutrition, body condition, and a host of environmental factors. The overall goal of this project is to determine if changes in maternal investment, body condition, and circulating hormone levels results in measurable changes in the health and survival of Steller sea lion (SSL) pups, as measured through the immune system. As part of an ongoing long-term monitoring and research effort, researchers observe the Chiswell Island rookery via a remotely-operated video system, which provides an in-depth assessment of maternal investment as well as pup well-being and survival. During three breeding seasons (2005, 2007, and 2008) pups ranging in age from 5 to 38 days old were measured, weighed, and permanently marked allowing for identification of mother-pup pairs, determination of exact pup ages, and assessment of maternal investment. Blood samples were collected from 61 pups (24 female, 37 male) for the measurements of a suite of blood-borne components, including complete blood cell counts, lymphocyte proliferation, serum chemistries, contaminants, and circulating levels of IL-6. Some of these measurements have been made, however this proposal requests funding for the remaining endocrine and immune assays. Serum will be used to determine circulating levels of adrenocorticotropic hormone (ACTH), ghrelin, cortisol, aldosterone, leptin, and thyroid hormones. The complete suite of measurements will allow a comprehensive evaluation of health parameters that will be used to compare with the level of maternal investment and survival of SSL pups. The goal of this study is to examine feeding patterns of pelagic late larval and early juvenile walleye pollock (Theragra chalcogramma) and Pacific cod (Gadus macrocephalus), collected in early summer of an exceptionally cold year (2008) on a large scale station grid ranging from Unimak Pass to the vicinity of St. Lawrence Island in the eastern Bering Sea. Previous studies have found that growth, and thus feeding success, during the first summer of marine fishes are important conditions for overwinter survival and, subsequently, recruitment success. This proposed study will benefit greatly from available data on summer zooplankton abundance, composition, and biomass, and on fish energy content, which were collected as part of the Bering Ecosystem Studies (BEST) and the Bering Sea Integrated Research Project (BSIERP), respectively; however, to date no funding is available to examine the feeding patterns of these co-occurring, economically and ecologically important groundfish species. The proposed study will form the basis for a M.S. thesis at the School of Fisheries and Ocean Sciences. As such, the proposed study will directly follow the PCCRC guideline by supporting research and education on pollock and other groundfish species; specifically, we will address priority 2 Alaska Pollock Stock Dynamics by examining the relationship of secondary production on pollock (and cod) recruitment. Results from this study will provide first insight into resource allocation and the potential for dietary overlap and may allow the assessment of the probability of food competition between early pelagic life stages of walleye pollock and Pacific cod in early summer during an exceptionally cold year in the eastern Bering Sea. The ocean plays a critical role in the global carbon cycle: the amount of carbon stored in the ocean is roughly 50 times greater than that in the atmosphere. At the surface, the ocean interacts constantly with the atmosphere to absorb and release carbon dioxide. Once absorbed, a carbon atom will remain in the ocean for hundreds of years, circulating from the ocean's surface to its depths and back to the surface again. With the rise of atmospheric CO2 concentrations from the pre-industrial level of 280 parts per million to 385 parts per million in 2008, the amount of carbon in the ocean has increased substantially and rapidly. This carbon dioxide has combined with water to form carbonic acid, making ocean surface water 30 percent more acidic on average. Depending on the extent of future CO2 emissions and other factors, the Intergovernmental Panel on climate change (2007) predicts that ocean acidity could increase by 150 percent by 2100. Potential impacts of ocean acidification on harvested species like Pollock are uncertain. One area of concern is acidosis, or the build-up of carbonic acid in body fluids, which can disrupt growth, respiration and reproduction. Despite our lack of knowledge, the trend of ocean acidification is undeniably concerning, especially considering the devastating consequences that acid rain had on freshwater ecosystems during the 20th century. Furthermore, the ocean is currently undergoing other potentially dangerous changes, including warming, sea level rise, pollution and overfishing. The rapid pace at which these changes are occurring, and the fact that they are happening simultaneously, threatens to disrupt the ocean's well-balanced physical, chemical and biological processes faster than they can adapt. Changes in ocean pH may have an affect on reproductive success and early development of Pollock in the marine environment. This could lead to devastating effects on the economic viability of this important fishery as well as the ecosystems of the Bering Sea and Gulf of Alaska. Decreasing Pollock stocks could have a cascading impact through the food web, affecting the sustainability of higher tropic level organisms like the Steller Sea Lion. In order to gain some insights into this area we propose to answer the following questions; (i) Does acidification show a significant effect on standard metabolic rate of larval Pollock? (ii) Which metabolic enzymes (PK, LDH, and CS) does ocean acidification significantly effect, and how? (iii) What is the current and future state of ocean acidification in the Gulf of Alaska and in the Bering Sea, particularly in areas of Pollock recruitment? Our hypotheses for this study are that; (i) There will be a significant increase in the standard metabolic rate of larval Pollock when exposed to lower pH. (ii) There will be a significant upregulation of metabolic enzymes as the environmental pH decreases. (iii) In the past two decades the pH of the World’s Ocean has dropped by 0.1 – 0.25 pH units. It is likely that a similar drop in pH has occurred in the Bering Sea and Gulf of Alaska. Increasing levels of atmospheric CO2 will likely exacerbate this problem during the next decade and beyond. This project will combine laboratory analyses of Pollock incubated at lower pHs as well as the synthesis of pH data throughout the Bering Sea and Gulf of Alaska. This project will allow us to directly quantify predation on juvenile Steller sea lions in the Gulf of Alaska. We have deployed newly developed, satellite linked Life History Transmitters in 15 juvenile Steller sea lions to date, with an additional 12 animals scheduled for 2008 / 2009 under existing funding. Life History Transmitters allow the determination of individual animal survival and allow distinction of predation from non-traumatic causes of mortality, from satellite transmitted post-mortems. Data returns from four of 15 initial deployments prove the viability of the concept, and suggest that predation by killer whales may be the single greatest cause of juvenile sea lion mortality, and that more than 50% of females may be consumed by predators before primiparity. Placing our preliminary findings into the context of a conceptual framework we have developed to integrate bottom up and top down effects, suggests that implications of this level of predation on recovery of the species may be profound, and may require changes more substantial than those that in the past likely contributed to current population status. Here we request support for the vital continuation of satellite monitoring for LHX tag data returns.